Join fellow film festival organizers throughout the year for these affordable, capacity building, networking and programming opportunities, and an immersive way to experience the flavor and diversity of festivals across the country. RR format includes time for conversation and of discovery (festival, films and filmmakers) with some twists, turns and local flavor peppered throughout. Is your organization interested in hosting a Regional Roundtable in 2020? Applications are open now through April 1, 2019. Please click here to apply now. FFA’s third roundtable of 2018 takes place November 8-11 at the 24th annual Cucalorus Festival in Wilmington, North Carolina, sponsored by Eventive and FilmFreeway. Open to all festival professionals, this 3-day workshop/festival experience will focus on the Human Capital it takes to run a film festival, with discussion topics including HR, seasonal staff, volunteer management and board partnerships, as well as specific sessions on data management, print traffic & DCP logistics. Additionally, the gathering will include networking events, group activities, FFA’s signature Meet the Festivals session, and a host of unexpected artistic collisions as we dive deep into the 24th annual Cucalorus Festival. Full agenda coming soon! FFA’s second roundtable takes place July 27-30 at the 27th annual Woods Hole Film Festival in Massachusetts, with support from Elevent and Film Freeway. Registration is $75, or $50 for FFA members. Lodging information can be found here. Group discussions, centered around audience as stakeholders, take place on Saturday July 28th and Sunday July 29th along with FFA’s signature Meet The Programmers session. See the full agenda below. 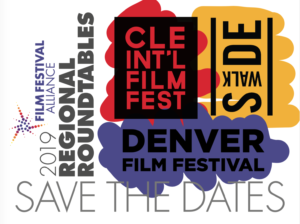 FFA is excited to announce that registration is now open for our first Regional Roundtable conference at the 44th annual Seattle International Film Festival (May 25-28), sponsored by Elevent. Group discussions will take place on Saturday May 26 and Sunday May 27th, over the SIFF Shorts Weekend. 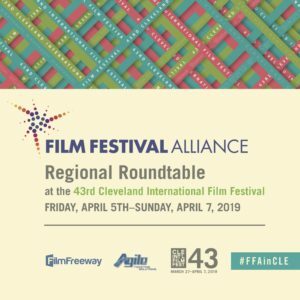 In addition to conversation, the Regional will also include Meet Ups, a Meet The Programmers event with visiting short filmmakers and other networking opportunities.